Okay, 100 years old might be stretching it a bit… but not by much. This recipe has been passed down by my husband’s mom’s side of the family through several generations. 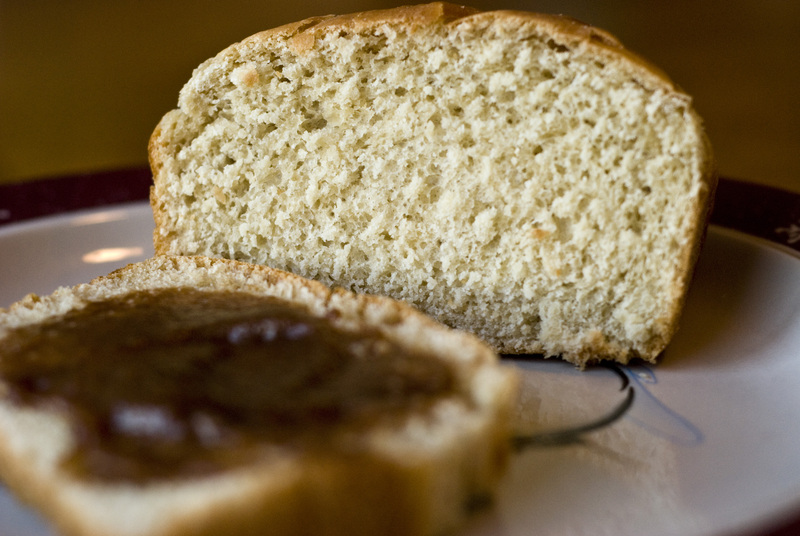 I’ve made the bread several times and it is always delicious. However, you do have to follow the directions. I let the second rise go for 90 minutes instead of 30 minutes one time and the entire loaf collapsed. It was still tasty – but quite dense and unappealing looking. This recipe makes two loaves. It is great for when having company or a pot luck, or you can always eat one and freeze the other. 1. Mix the yeast and warm water in a small bowl. I usually sprinkle in a little sugar to make sure the little yeast guys are alive. Let sit 5 minutes while you do the rest. 2. 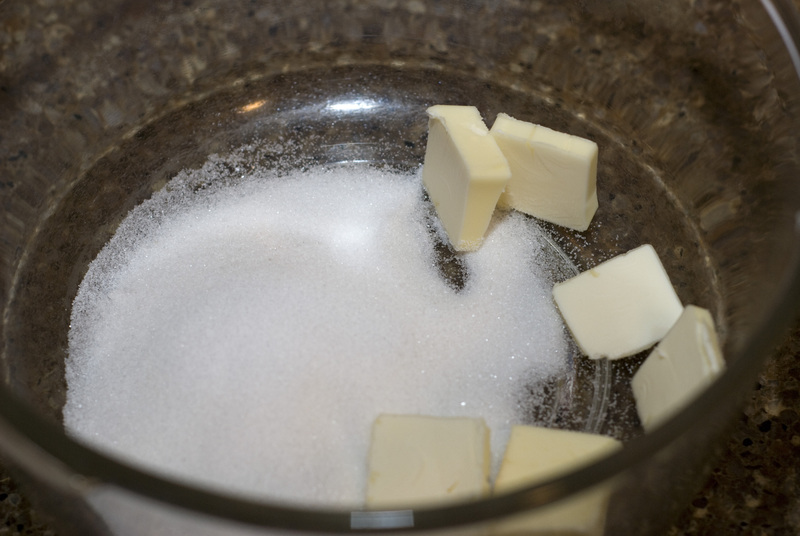 In a great big bowl, mix the hot water, butter, sugar and salt together. Stir until dissolved and melted together. Add 2 cups of flour to cool. (If you have a infrared fever gun the dough needs to be less than 120 degrees to avoid killing the yeast). Or just let it sit 5 minutes to cool until just warm. 3. Add the yeast and stir in. Add 3 cups of flour. Continue to knead and add flour until the dough is not sticky. The amount of flour depends on the conditions of temperature, humidity, etc. Sometimes I use 3 and 1/2 and sometimes 4 and 1/2. It should be a nice dough ball that isn’t too sticky when finished. 4. Cover and let rise until doubled – about 1 hour. This depends on the yeast you use. 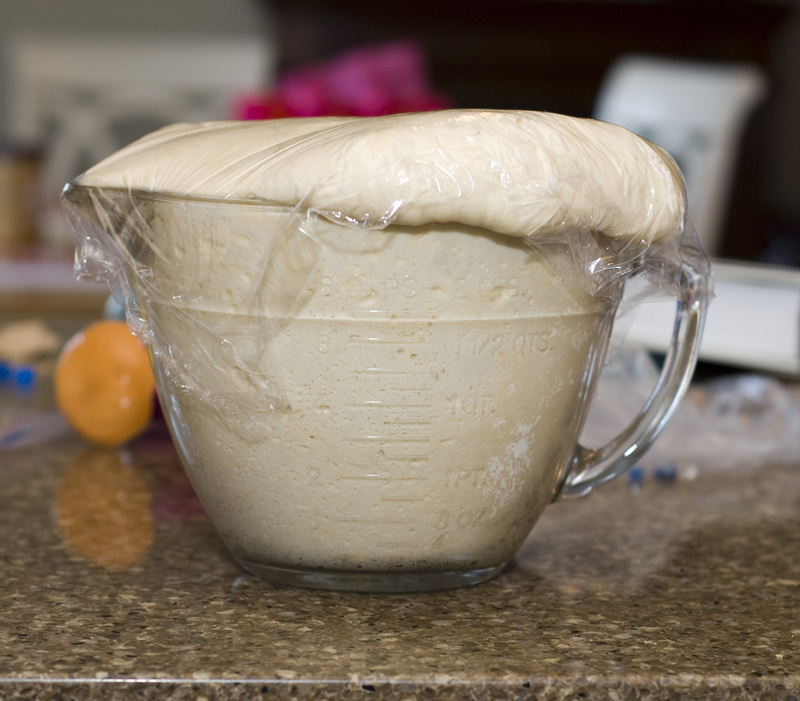 I use rapid rise from Red Star which makes my dough rise a little faster. 5. Punch down and divide. Spray 2 loaf pans with cooking spray and put the dough in the pans. Cover and let rise for 30 minutes. 6. Preheat oven to 350 degrees during the final rise. Then, put the loaves in and bake for 30 minutes. The tops will be golden brown. Allow to cool slightly and turn out onto a wire rack or plate for consuming while warm. 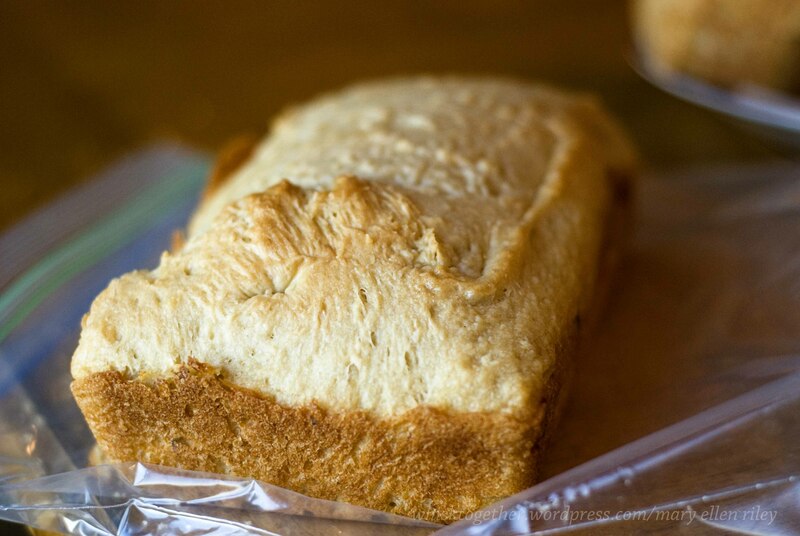 Mother and Grandma would be proud to know their bread recipe made the internet! 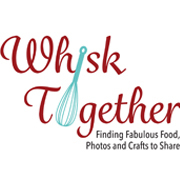 I love your cooking blog. 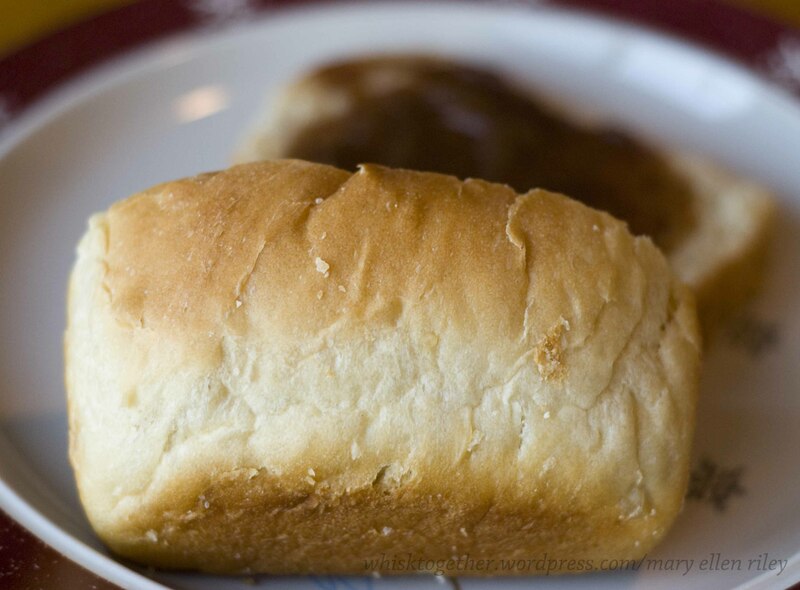 I grew up eating this bread and it IS the best! The whole wheat variety is good too!